A cheese may disappoint. It may be dull, it may be naive, it may be over sophisticated. Yet it remains; cheese, milk’s leap toward immortality. In just a few weeks we will be enjoying Super Bowl Sunday; many of us will be immersed in the game, some will watch for the half-time show or the advertisements, but all of us will enjoy the food! One of the most popular treats of the past few years has become Buffalo wings with blue cheese dressing. In my opinion you can keep the wings; I’ll just dive into the bowl of blue cheese. I don’t know if the advent of this brew pub treat had an impact on the popularity of blue cheese, but it was certainly my introduction to the funky fromage. 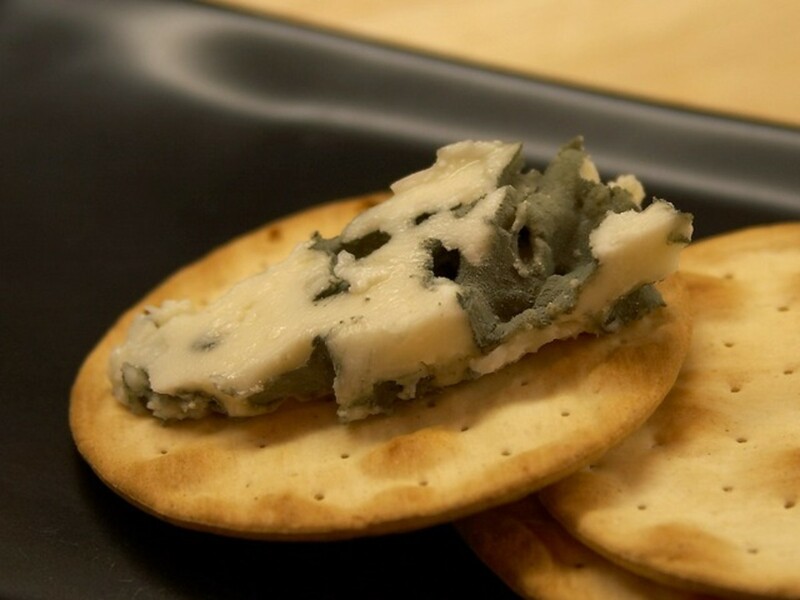 Until then I had assumed that blue (or bleu) cheese was only favored by those who dined on fancy French cuisine. 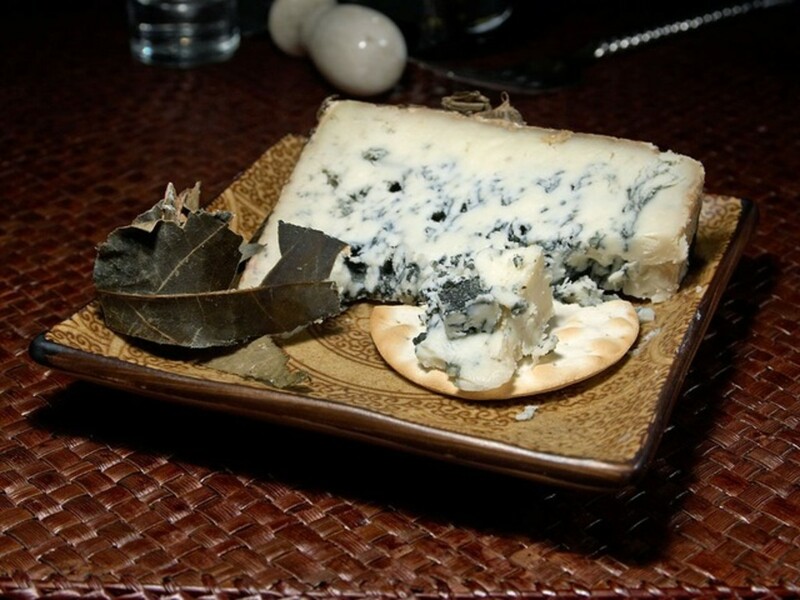 The true origin of blue cheese has generated much folklore, speculation, and controversy. The Italian claims that Gorgonzola is one of the world's oldest blue-veined cheeses, originating around 847 A.D. from a town of the same name just east of Milan in the northern region of Lombardy. Lombardy, on the alpine border with Switzerland, is in the northern-most part of Italy. It is Italy's leading agricultural area and the Alps provide excellent grazing for cows. It is said that centuries ago, a young man in Italy, a cheese apprentice, was distracted by love, and left his cheese curds unattended overnight. To hide his oversight, the next morning he mixed them with fresh curds, but a few weeks later noticed that the batch was turning blue. The mistake could no longer be hidden, but it proved to be a happy accident, and Gorgonzola was born….or something like that. Oddly enough, the French have a similar story for the creation of Roquefort. Blue Cheese 101 -- How is It Made? 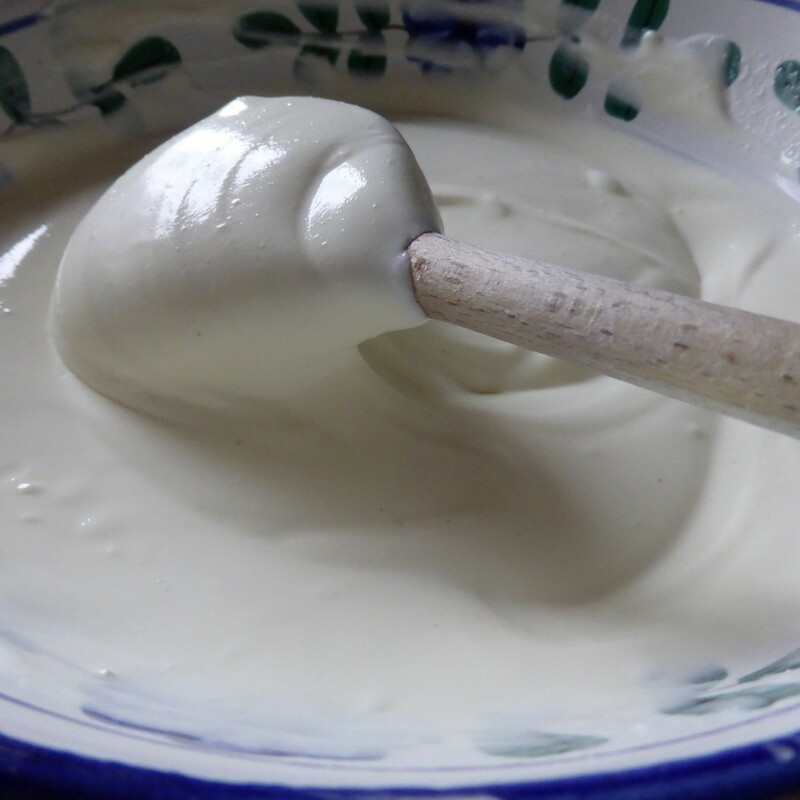 Milk is acidified, a process which separate the milk into solids (curds) and liquid (whey). As with most cheese manufacture, the curds are then drained, salted, shaped and ripened (allowed to age). The blue veining comes from the introduction of a specific bacterium (Penicillium Roqueforti or Penicillium Glaucum.) When the bacteria is introduces dictates the type of cheese which results. There is another process which is also unique to blue cheeses – the wheels of cheese are poked or “needled” to create multiple tiny openings. These openings will allow air to penetrate; it is the air that feeds the bacteria and allows it to thrive. The type of milk used (cow, sheep, goat, or a combination) and what the animals were eating prior to being milked also affect the type of cheese produced. There are so many blue cheeses available – it gets confusing! Here is a simple table that might help you decide which one to purchase. 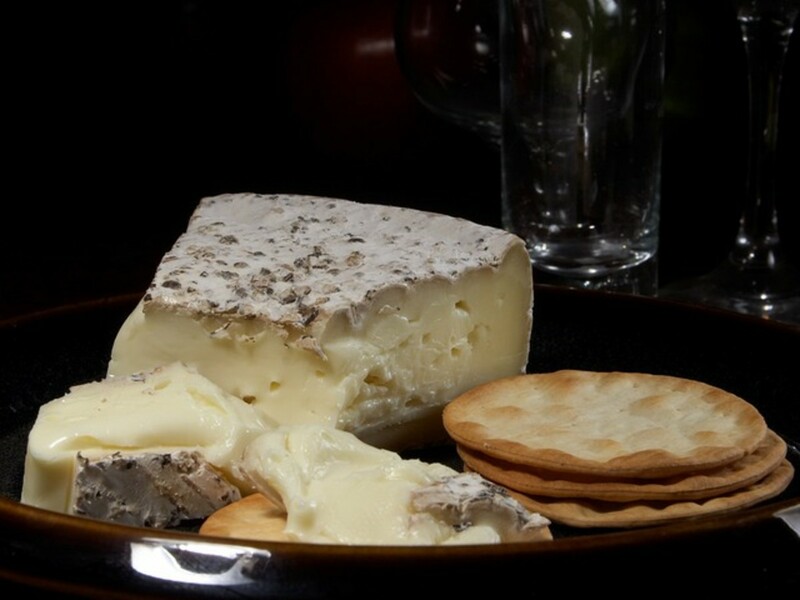 This is a double-cream blue, soft, spreadable, and incredibly rich. 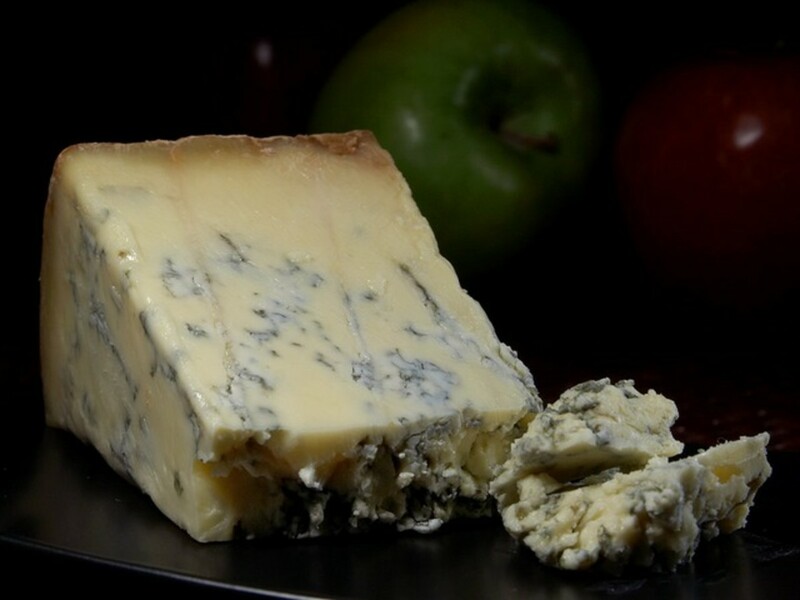 It is one of the milder blues, so is a good choice for those new to blue cheese. Dense, crumbly, and quite strong in flavor. Not for the faint of heart. 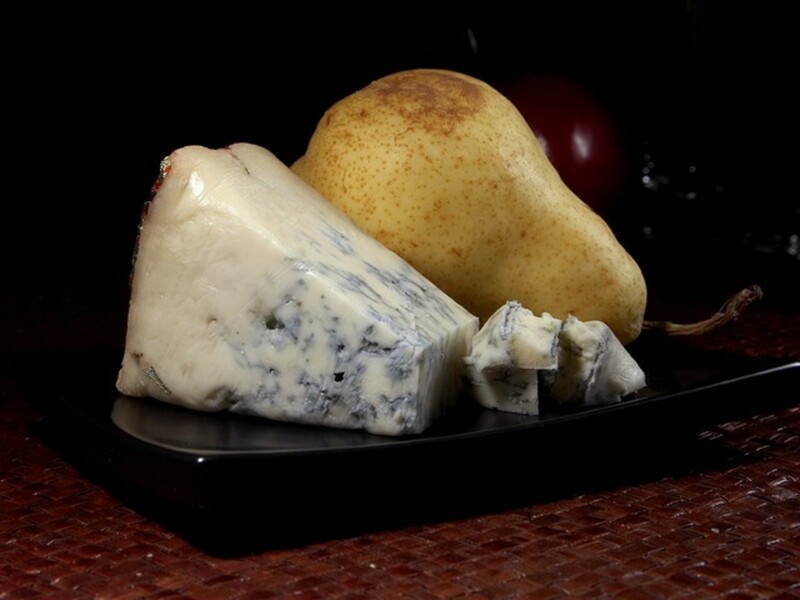 There are two types of Gorgonzola-- Gorgonzola Piccante (also called Gorgonzola Naturale) is aged, sharp and pungent. Gorgonzola Dulce is milder in flavor. Gorgonzola is crumbly but spreadable. 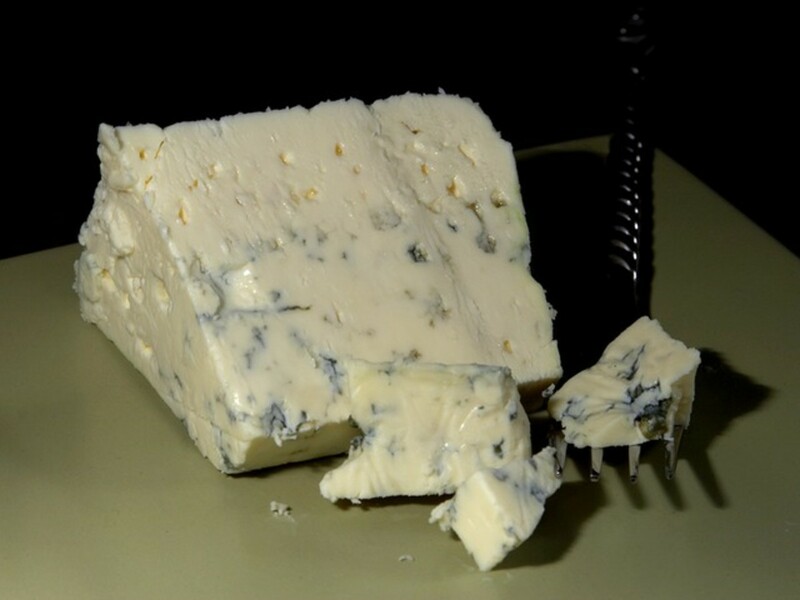 I promised recipes and honestly, there are so many different ways that blue cheeses can be used, this article would be voluminous were I to attempt to cover then all. I will give you a few recipes, but then I will also provide some suggestions and allow you to use your imagination. 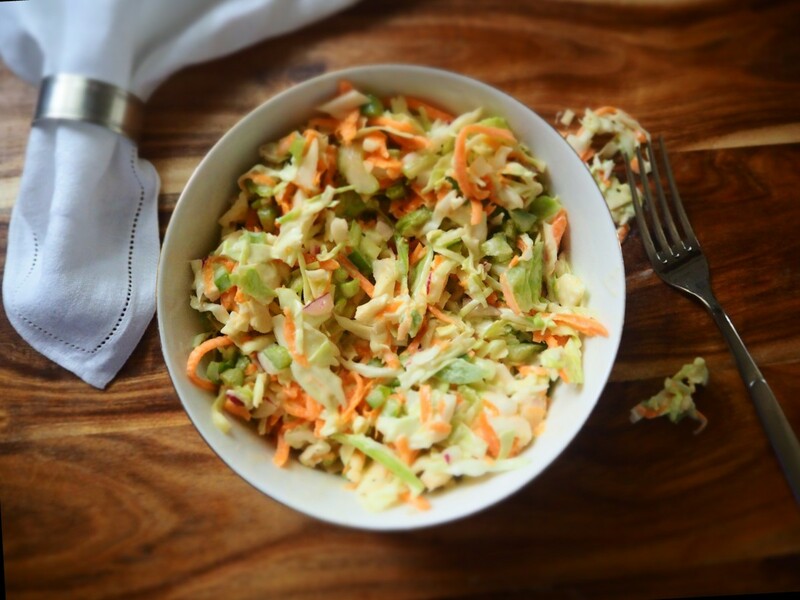 If you like a chunky dressing, combine all ingredients except the cheese in a bowl and stir to blend. Fold in the crumbled blue cheese. If you prefer a smooth dressing, process everything in a blender or food processor. If the mixture seems too thick add a few more teaspoons of milk. 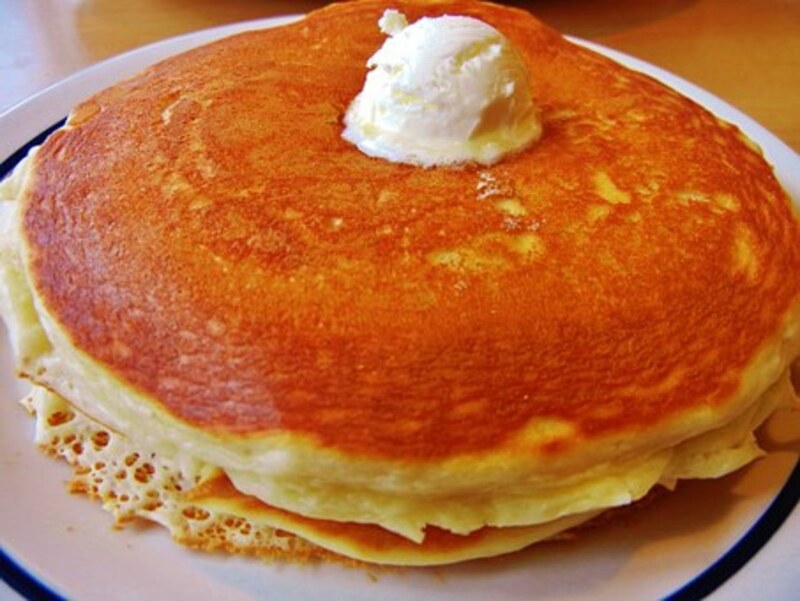 NOTE: If you don't have buttermilk, don't worry. 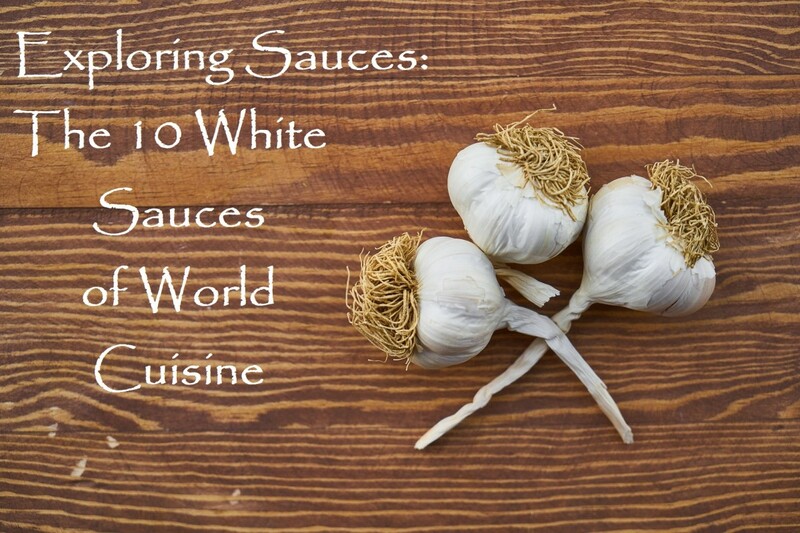 Place 1/2 teaspoon of white vinegar in a 1 cup measuring cup. Fill to the 1/2 cup mark with regular milk, stir and let sit for 5 minutes. Camille Styles is a beautiful blog focusing on fun ideas for home, fashion, health and fitness, and fresh recipes. Her crostini recipe is a contrast of tastes and textures -- creamy salty cambozola pops against the sweet crispness of the Asian pear and the buttery, crunchy rustic bread. Use this recipe when you want something which seems indulgent and luxurious, but is one of the easiest foods you'll ever put together. Trust me—macaroni and cheese from a box will take longer than this. Strain canned tomatoes, reserving juices. Spread canned tomatoes on large baking sheet. Season with salt and pepper to taste. Drizzle with 1 tablespoon olive oil. Roast in oven about until caramelized, about 30 minutes. Meanwhile, sauté onion, celery, and garlic in large saucepan until softened, about 10 minutes. Add the roasted canned tomatoes, reserved tomato juices, sun-dried tomatoes, broth, sage, and bay leaf. Simmer until vegetables are very tender, about 20 minutes. Remove bay leaf. Puree soup in pot with immersion blender until smooth. Stir in chopped parsley and lemon juice. Taste and adjust seasoning as needed. Toss all salad ingredients together in large bowl. Whisk together the vinaigrette ingredients in a small bowl. Do not add the dressing until you are ready to serve the salad. Erica, Echo, Elise, and Emily are busy sisters with families, love, and a whole lot of talent when it comes to creating amazing meals. This filet mignon is as good (if not better) than anything you will get in a restaurant. Place the mashed potato flakes in a large mixing bowl and cover with the boiling water. Stir just to moisten and let sit for about 10 minutes. Add the salt and 2 eggs and beat on low speed with a mixer until smooth. Add the flour and beat just until the flour is incorporated and the dough is smooth. Don't overmix—this makes the gnocchi tough. Allow the dough to rest for 30 minutes. Next, roll each piece against the tines of a fork—this creates the characteristic grooves that help the sauce cling to gnocchi. To cook them, drop your gnocchi into simmering (not boiling) water--no more than about 20 at a time. They are done when they bob to the surface. Remove the gnocchi with a skimmer and place on a clean towel. Since writing this hub I have discovered a new method of forming gnocchi. It's much faster than the pat, roll, and cut method described above. Bring a large pot of water to boil over medium-high heat. Lightly spray the inside of a pastry bag with non-stick cooking spray (such as Pam). Do NOT place a decorating tip in the pastry bag—use just the bag and coupler. Spoon your potato gnocchi "dough" into the pastry bag. With one hand gently squeeze the bag to gradually force the potato dough to the tip of the bag. With your other hand cut off the dough with a sharp knife. Continue to squeeze and cut, allowing the dough to drop into your pot of water. Using this method you can form and cook your gnocchi very quickly and without added flour. Bring cream to a simmer over medium-low heat in large saute pan. Add cheese and cook, stirring constantly, until Gorgonzola is melted. Add cooked gnocchi to the pan and toss to coat. 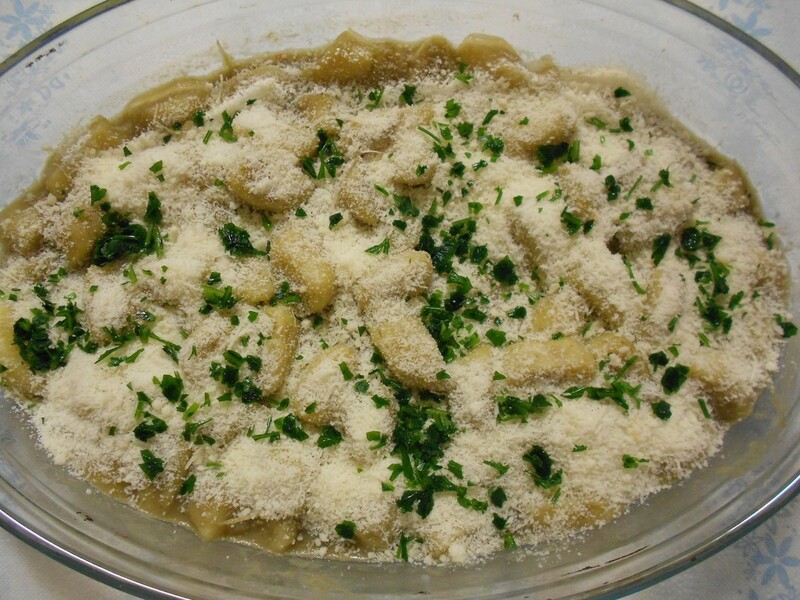 Place gnocchi in oven-safe dish. Sprinkle bread crumbs on top; drizzle with olive oil and top with basil. Broil 5 inches from heat until bubbly and crumbs are browned. Watch carefully so that the crumbs don't burn! Combine sprouts and oil in large mixing bowl. Season with salt and pepper and toss to coat. Spread out in single layer on rimmed baking sheet. 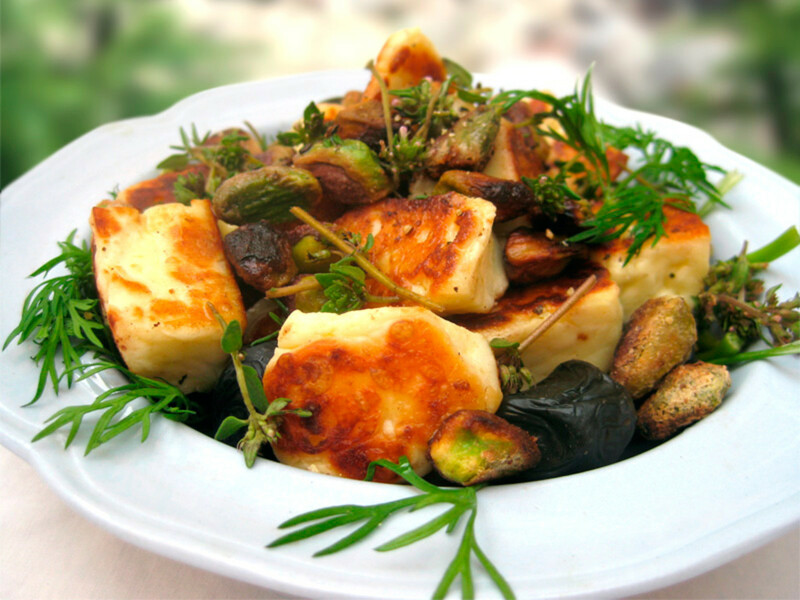 Bake in preheated oven 25-30 minutes, stirring twice until sprouts are tender and edges are turning golden brown. Remove from oven and turn into serving dish. 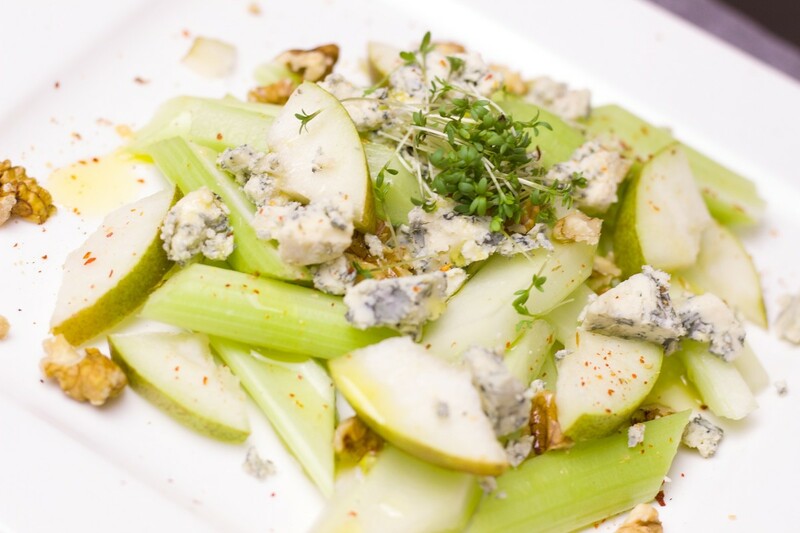 Garnish with blue cheese and walnuts. Prepare green beans according to package directions. 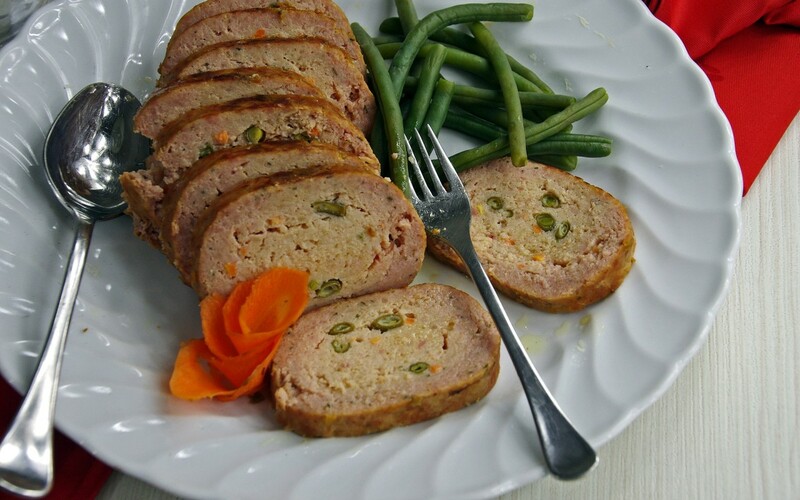 Drain, place in serving dish, and garnish with bacon and blue cheese. So there you have it—recipes and ideas for soups, salads, appetizers, pasta, meats, and vegetables. What about dessert? Well, I had planned on writing about dessert as well, but this article is already at over 2,300 words. If you would like some dessert ideas, let me know in the comments section. I'd be happy to do that in a separate article. Peggy, some of my dearest friends are from or live now in Wisconsin. Trust me, once you try homemade tomato soup you will never go back to the stuff in a can. Your recipes sound so delicious! 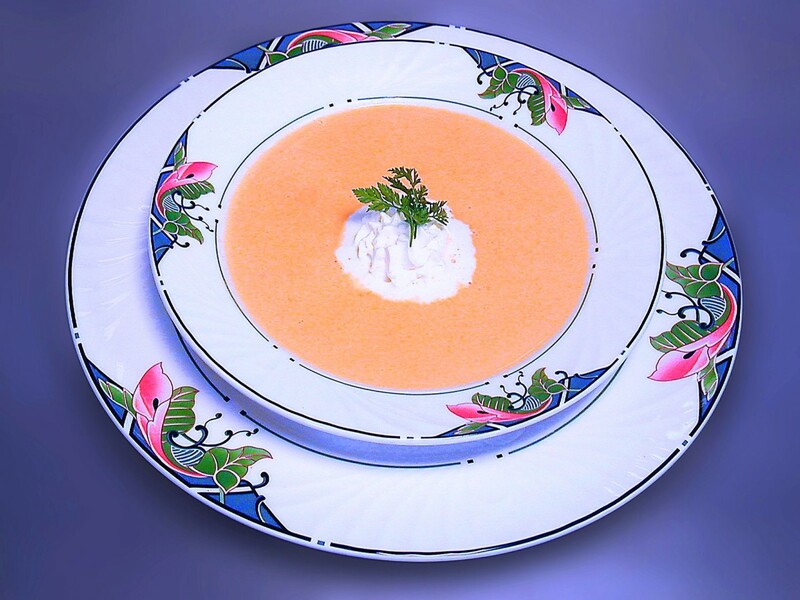 I will definitely be trying some of them starting with the creamy triple tomato soup. I grew up as a child in Wisconsin...the Dairy State. 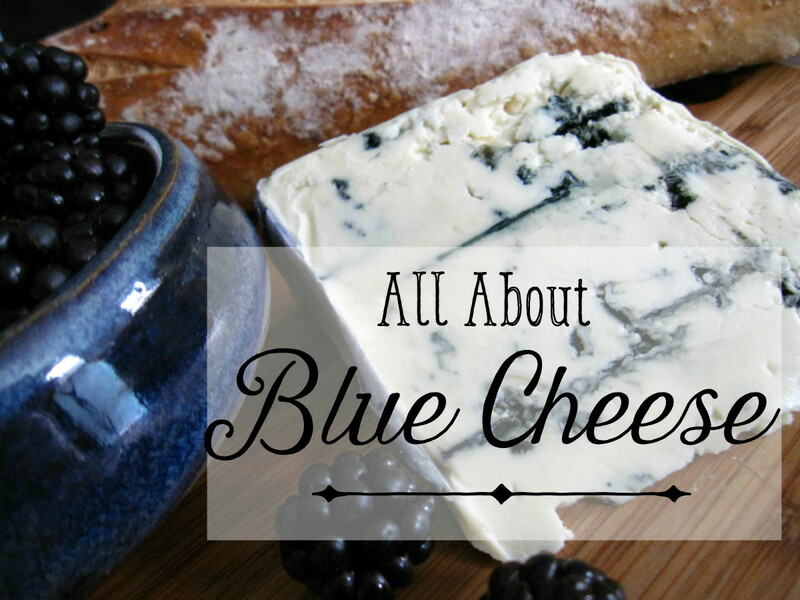 We love all kinds of cheeses including blue cheese. Patty, thank you so much for stopping by and leaving a comment. I hope you can find the time to visit some of my other articles on cheese. I love this article! -- It took me many years, but I do like Blue Cheese now and will use your recipes. Eric, yes it really is that easy. Makes me wonder why I don't make it more often. Yes, cheese is actually good for our teeth--I think it has something to do with changing the pH so that bacteria do not thrive, but don't quote me on that. gnocchi is really that easy? Yahoo! I hope they don't lay flowers on my grave but rather cheese. Hopefully one of your recipes. I got curious from what I had heard and so looked it up on some papers of the NIH. Cheese is very good for oral health. Which means the whole body. Flourish - I think blue cheese is the best cheese in the world--I could eat it every day. You are lucky that your dad does the wings and sauces. My dad was a pretty good cook but I never got a chance to work with him in the kitchen. I am glad that you enjoyed the stories. It was fun doing the research on this. Somehow I missed this one. My dad makes his own wings and has different versions of his recipe. He loves dipping sauces and blue cheese is one of his favorites. Thanks for your creativity and storytelling. Absolutely! Although as of today I think the Super Bowl will be a rather somber event. Our team lost a week ago, and our #2 pick lost today. Oh well, there's still the ads, half-time, and the kitty bowl. Let me know how you and the Super Bowlers like it. It's always a huge hit when I make it for gatherings. Shauna - That sounds wonderful. I think this will appear on our Super Bowl Sunday menu. Thank you for sharing. Diva, I just check the blue cheese dressing recipe. It calls for 1/2 c heavy (whipping) cream, 1 c mayo and 2 tbsp blue cheese or Roquefort. As I said, I add two containers of blue cheese to make it nice and thick. Let me double check the recipe, Diva. I'm thinking the whipping cream to mayo ratio may be one to one and not as I stated in the original comment. I'm going by memory, which can't always be trusted in someone pushing 60! I'll get back with you in a few days. Brave warrior - I was sure I responded to you yesterday, but let's try again. To me macaroni and cheese plus tomatoes are a natural. Same flavors as tomato soup and grilled cheese, right? Thank you for sharing your mom's recipe -- you had me with 'whipping cream'. 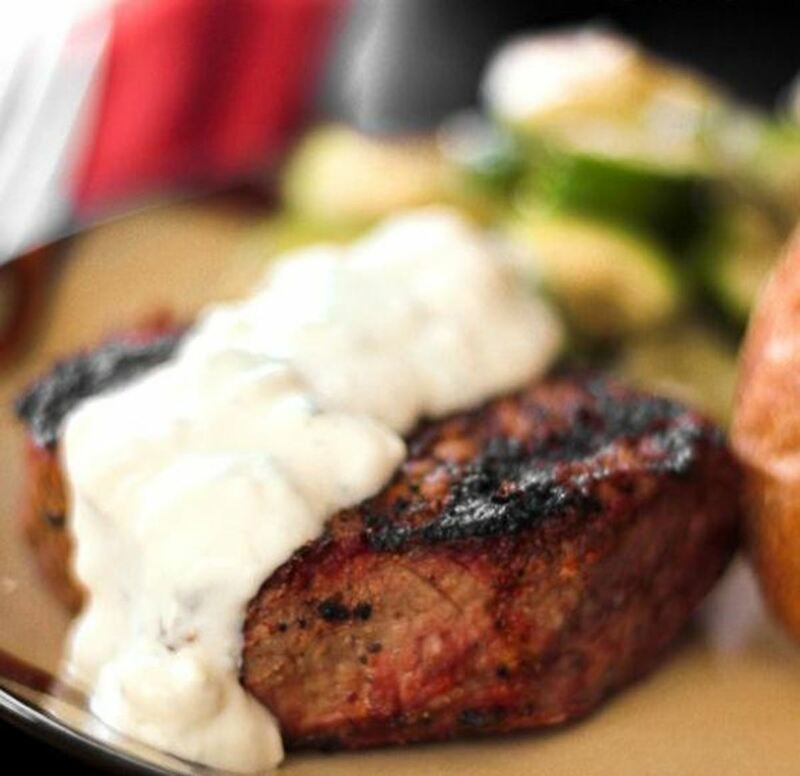 How can anything that contains blue cheese AND whipping cream be a bad thing? LOL. These recipes are making my mouth water! FYI, I agree that tomatoes are a wonderful way to flavor mac and cheese. I always line the top of my casserole dish with quartered roma tomatoes, then I go down the center in the form of an X. The tomatoes add moisture and a nice zing to the dish. I'll have to try the blue cheese topping next time I make it. Whip the cream until it forms stiff peaks. Fold in the mayo and add the blue cheese. It works best if you do all this in a glass bowl. Cover and refrigerate. Note: my mom's recipe calls for a few tablespoons of the crumbled blue cheese. I like my blue cheese dressing thick and full of body, so I increased the blue cheese by quite a bit. It's so good I can eat it all by itself! It's great with celery sticks, carrots sticks, etc. Totally yummy! Martie - Thank you for visiting--I think this is the first time I have heard from you. I hear may people say that they don't like blue cheese, but there are so many kinds. Perhaps the one that you sampled was more "assertive" than others. If my recipes have piqued your curiosity, might I suggest that you look for a milder cheese. Don't go for a Roquefort or Stilton. The Danish/German blues tend have a little less 'punch'. If you do happen to try a blue again, and if you use one of my recipes, I would love to hear back from you. Yes, a fruit and cheese board is ideal for those who don't prefer something sweet after a meal. I am always surprised at how many people don't like a dessert. Blond Logic - Good morning to you. One type of "dessert" that we enjoy is cheese and fresh fruit. 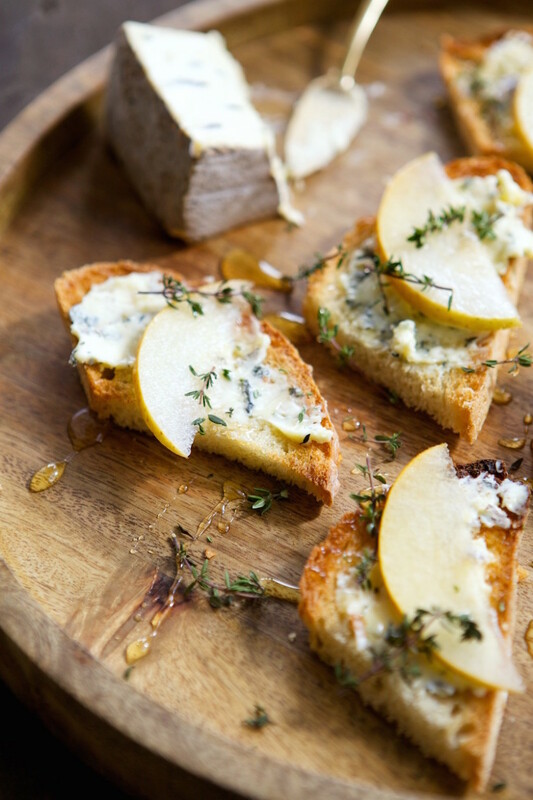 Can you imagine a slice of Gorgonzola with a crisp pear? Or make a flat bread with puff pastry, crumble on some blue cheese and drizzle with honey? Thank you for stopping by. If you are interested, I could develop some specific recipes and post them in another article. Let me know, OK? Thank you, I definitely will have a good time tonight as we celebrate God's bounty. An excellent hub. I love blue cheese but this wasn't always the case. My mother use to request blue cheese on a salad, and I so hated the smell of it I couldn't sit next to her in a restaurant. It wasn't until I was pregnant that I developed a love for it and now enjoy it whenever I can. 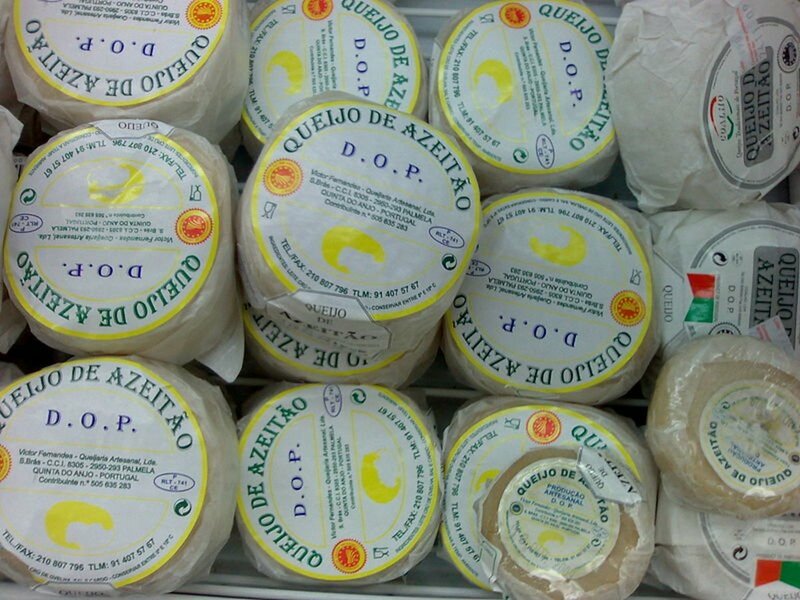 Here in Brazil, they do make a good copycat of Gorgonzola and it is one of our favorites. You have an interesting selection of uses for it, but not sure I would want it in a dessert. Eric, so good to hear from you. When you didn't comment on my breakfast/brunch casserole article, I thought perhaps you had stopped following me. Yes, please go back and read it and let you know your thoughts. Does Gabriel like cheese? I know that blue (or bleu) is NOT a part of the Vietnamese diet, but maybe you can encourage him to try just a little. Well Bill, I had my fingers crossed on this one. Blue cheese is one of those love it or hate it foods---there is no in between. Sorry you are in the camp of 'haters', but guess that leaves more for the rest of us. Yes, I'll keep trying. I have one about brie on the back burner. Maybe you would enjoy that one. I'll keep trying. I'm not sure how you do it, Linda. Maybe it's intentional on your part, though I certainly hope not. I happen to love cheese....almost all cheeses...almost....but somehow you managed to pick one of the few I can't stand. How do you do that???? LOL....keep them coming, my friend! I love them even when I don't. Oh boy Oh boy, another by Linda on a favorite food. Now I will go back and savor reading it and then going and getting some.